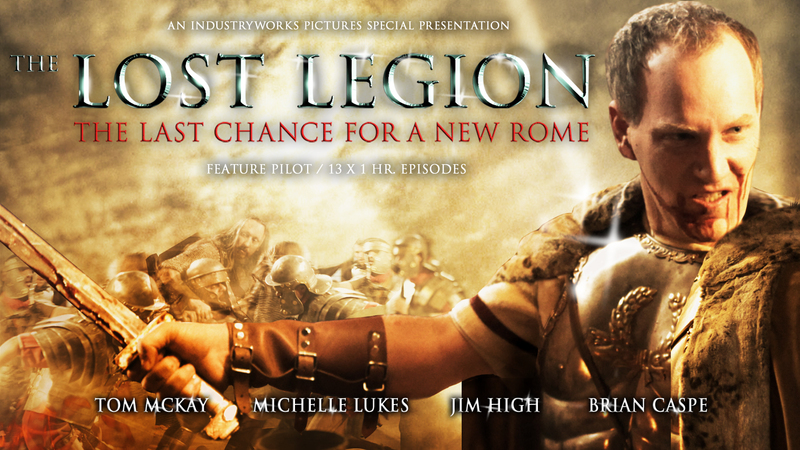 IndustryWorks is pleased to announce the exclusive ‘first look’ at the new TV drama series ‘The Lost Legion’ at MIPTV this April. The thirteen one hour-long episodes by Executive Producer Evan Tylor, who brought us the now infamous and New York Times touted feature film ‘American Mary’. Petr Kubik and David Kocas direct ‘The Lost Legion’ and Christopher Hyde writes the series. Producers of ‘The Lost Legion’ are Lloyd Simandl and John Curtis. Production for the first two episodes has been completed. Filming will continue in Prague from June to December 2014. After the fall of the Rome a once powerful Empire is now but a shadow of itself, deprived of its former glory and the Dark Ages are imminent. Roman Fortress towns are now small kingdoms where decadence and corruption thrive and the struggle to maintain control is quickly slipping away. In one such remote outpost, one Legion remains and strives to bring Rome back to its former glory and the interwoven lives of the strong, the corrupt, the innocent and the power hungry will determine Rome’s final destiny. The series stars Michelle Lukes (‘Strike Back’, ‘Alexander’, ‘Doctors’) as the manipulative and shrewd Urbina Prima, the wife of Maximus our debauched and insane Roman Emperor played by Brian Caspe (‘Hellboy’, The Illusionist’, ‘The Last Knights’). 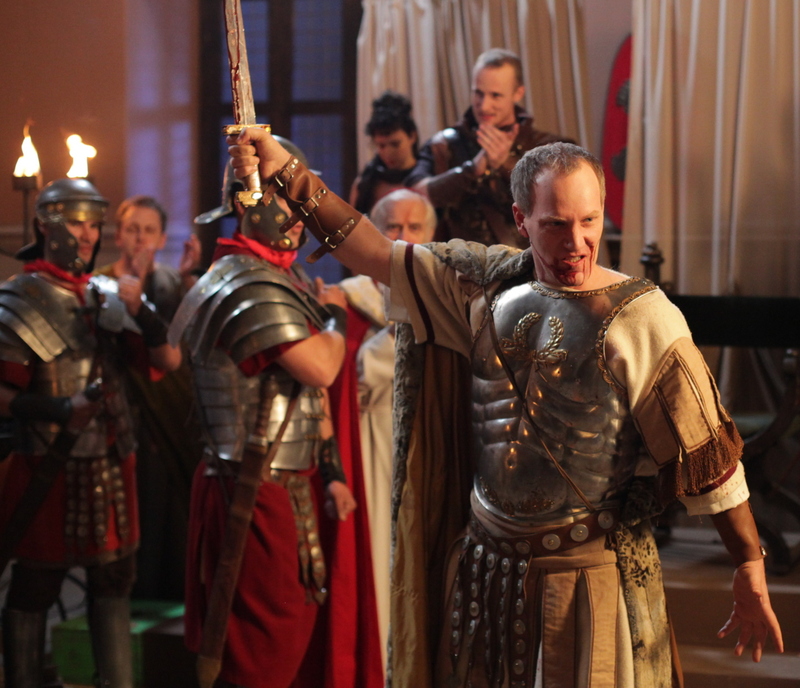 The cast includes Tom McKay (‘Hatfields and McCoys’, ‘The White Queen’) as the ‘Legions’ hero Taranis Maldras and Jim High (‘The Muskateers’, ‘Borgia’, Crossing Lines’) as Argos, the middle man who plays all sides of this chessboard. The stellar cast comes with a long list of Emmy, Golden Globe and People Choice nominated credits that features Tom McKay who starred in the BBC’s Golden Globe and People’s Choice Nominated show ‘The White Queen’ and stars in the Golden Globe award winning and multi SAG and Prime Time Emmy Award winning, TV show ‘Hatfields & McCoys’ along side Kevin Costner. Michelle Lukes starred in the Emmy Nominated show ‘Strike Back.’ Jim High stars in BBC America’s newest TV Series ‘The Musketeers’, the TV Series ‘Borgia’, Primetime Emmy Nominated TV series ‘Missing’ and the new NBC TV series ‘Crossing Lines’ and soon to be seen in the up and coming feature film ‘Serena’ with Jennifer Lawrence and Bradley Cooper. Brian Caspe may be best known for Guillermo Del Torro’s ’Hellboy’, as well as ‘The Illuisionist’ and ‘Mission Impossible – Ghost Protocol’, Brian Caspe is in the up coming action adventure film ‘The Last Knights’ with Morgan Freeman and Clive Owen and is also in the Oscar Nominated and multi-award winning TV series ‘The American Experience’. IndustryWorks is a fully integrated company that distributes and produces feature films, television and new media content worldwide. IndustryWorks Pictures sets itself apart by having the keen sense of recognizing potential in projects for production and its primary function is to release unique and marketable content to the market place. IndustryWorks’ mandate is to release films and television content that appeal to the mainstream and niche audiences. The company has several in-house projects in development on an ongoing basis. IndustryWorks distributes its content to all ancillary media outlets, including box office, VOD, SVOD, broadcast, airlines, internet and digital platforms, retail and rental outlets. This entry was posted in The Lost Legion and tagged 2014, actor, airlines, American Mary, blog, box office, Brian Caspe, broadcast, Canada, David Kocas, director, drama, DVD, Emmy, entertainment, Evan Tylor, feature, film, firm, global, Golden Globe, Industry Works, internet, Jim High, John Curtis, Lesley Diana, Lloyd Simandl, Media, Michelle Lukes, MIPTV, movie, new, Oscar, People Choice, Petr Kubik, PR, press, producer, release, Roman Empire, Rome, SVOD, television, The Lost Legion, The Promotion People, Tom McKay, Vancouver, VOD on April 2, 2014 by press.